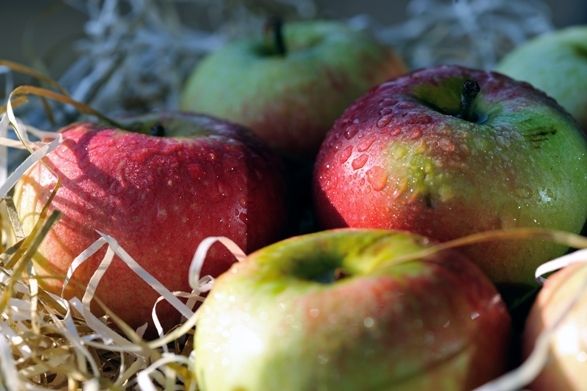 A little celebration of the great British apple, or is it? Did you know that apples originated in the Middle East over 4000 years ago and have been grown in Britain since the Romans were here! Specially cultivated varieties arrived from Europe via France with the Norman Conquest of 1066. In the 13th Century, Black Death, the War of the Roses and various droughts led to the demise of the apple, King Henry VIII, (our fave King) reversed this decline through the establishment of large scale orchards in Kent with apples searched for and bought back to Britain from all over the world. With over 3500 varieties now held at the National Fruit collection it is clear we Brits care about this glorious fruit. For those who are longing for some mulled wine but who are driving..what about some mulled apple and ginger instead. Heat around a litre of apple juice, splash in 125ml of ginger wine, chuck in a little cinnamon stick, add a few cloves and a pinch of nutmeg, if you fancy it add a squirt of lemon juice, heat up very slowly for 15 minutes or so and serve v v hot. Make sure you serve it in mugs that can take the heat. Fantastic, even better if you made your own apple juice. Grizzler here, the little terrier that is a lady but looks like a yobby boy, Rufus gets pink hair clips and he is a boy I am a lady and I get nothing…life of a dog ey. Annie is on a mission to pick and pickle everything she can get her sticky hands on in this year of penny pinching, all good for me as I get a walk. 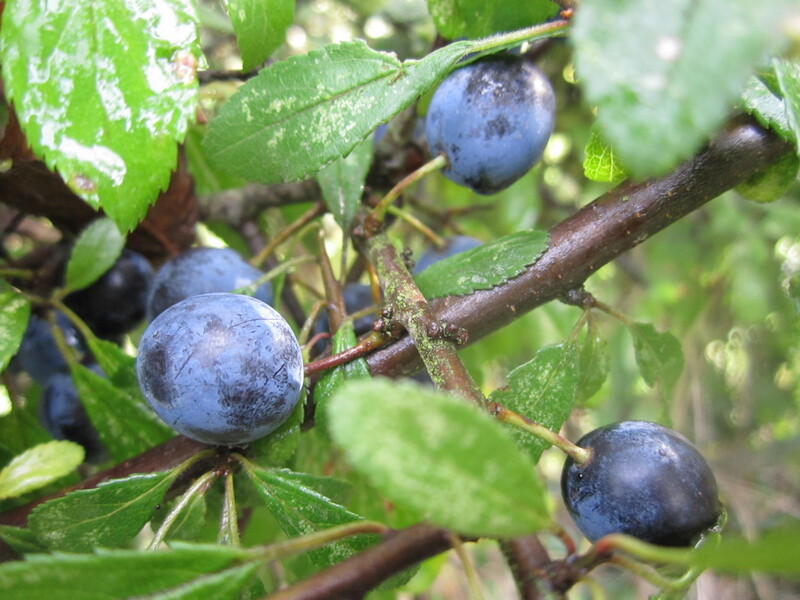 As we are now nearing the end of September it is time for the annual picking of the Sloes. 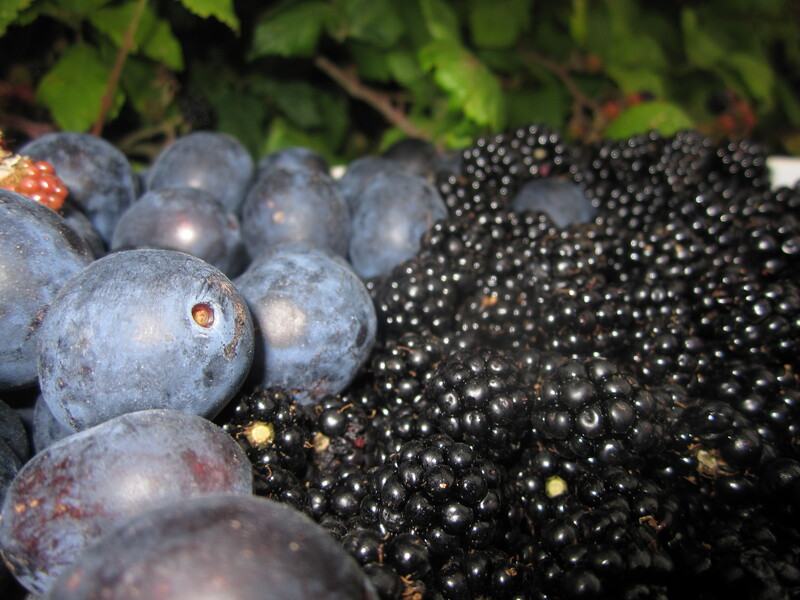 Marching around the hedgerows of the High Weald, my home and truly a grand place to yomp, we came across hedges full of Sloes and trees full of what could be Bullace? They look identical but only the Sloes have thorns, they taste the same when chucked into gin so please feel free to lie about their provenance it will make no difference to the end result. 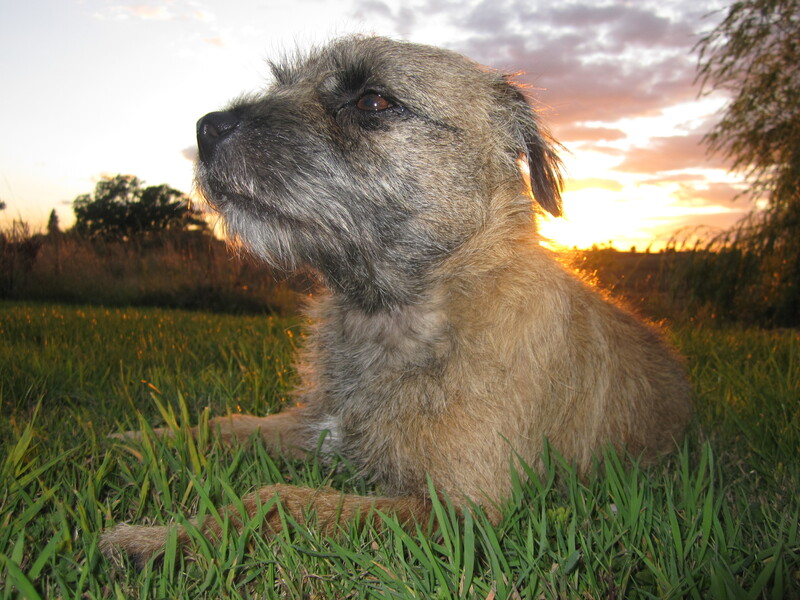 OK Annie, a good friend and proud walker of Grizzle the naughty terrier, is a grand cook and she reckons foraging in hedgerows must be done during these austere times. Well it is not great for my beautiful coat but as the Grizzler loves it I decided to give it a go. The jam made is fantastic and although my chops turned maroon and Annie’s fingers turned purple we reckon it was worth it so here is a recipe to follow. Note to WI, no members of the WI here so the jam is not appearing for sale anytime soon…. Step 1 – Make sure your friends save all their glass jars for you, nothing more irritating than wasting money (note I am from Yorkshire). Clean the jars, use white spirit for labels, wash thoroughly, if you have an Aga stick them in the simmering oven until you are ready with your jam. Step 2 – Grab a waterproof box, bag something. Step 3 – Get your boots on and schlep to your nearest hedgerows, blackberries are everywhere this year, September 2010, and must be picked. Step 4 – Do your “brambling” at the end, you don’t want all that juice running down your brand new Goretex jacket. Clean the fruit, put it into a very heavy bottomed pan, simmer until the fruit is soft, gently stir in the sugar and leave to dissolve, bring to the boil and boil rapidly until setting point is reached. ( That is a bit much what on earth is a “setting point”). Ah… pop a plate in the freezer and when cold drop a splodge of the jam onto it, if it starts setting you are in business. Leave the jam to cool a bit, pour into the jars, cover with little round disks of greaseproof or film or just the very clean lids and put away somewhere cool to set. Use your emerging computer skills to design and produce homemade labels with pics of me on them….delicious.